With six of the nine stops on the International Biathlon Union (IBU) World Cup circuit complete, IBU athletes will take a brief hiatus from Europe this February and venture across the Atlantic for a race tour in North America. The first stop for biathletes, coaches and fans will be Canmore, Albert. Canada–the last World Cup races having taken place there in 2016. Following Canmore, the IBU will head for U.S. soil: The Soldier Hollow Nordic Center (SoHo) in Midway, Utah. 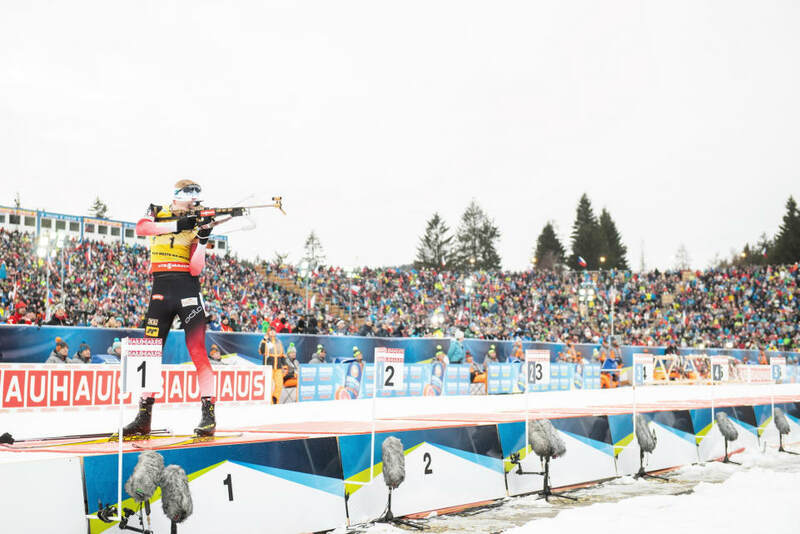 The 2019 IBU World Cup races will be the first major biathlon event held at the SoHo venue since the Salt Lake City Winter Olympic Games. With 15 competitions already in the bag this season, the men’s IBU World Cup is currently led by Norwegian Johannes Thinges Bø, who has accumulated a total of 836 points for the coveted top-dog position. 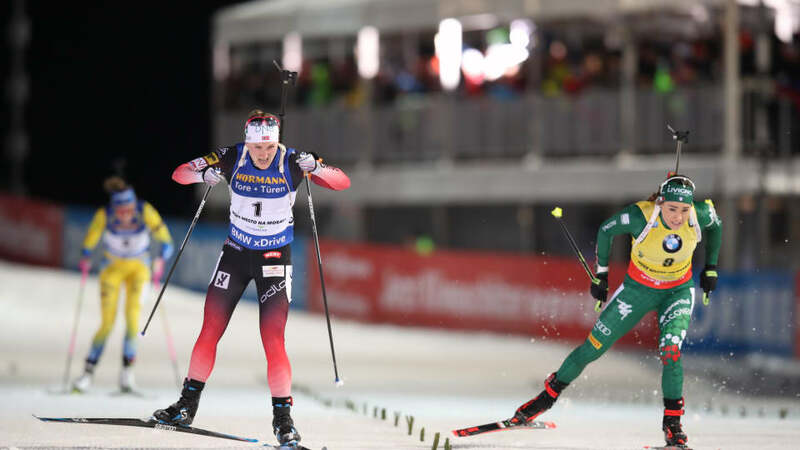 Bø kicked off his World Cup season with back-to-back wins in Pokljuka, Slovenia, claiming first in the IBU’s opening sprint and then winning the following day’s pursuit. (He placed seventh in the men’s individual 20 k that weekend). In Hochfilzen, Austria, the 25 year old won the sprint before placing ninth in the next day’s pursuit. In Nové Město, Czech Republic he completed a hat trick win, sweeping the sprint, pursuit and mass start. He dropped a position in the Oberhof, Germany sprint, finishing second, only to reclaim his position at the top in the pursuit. Ruhpolding, Germany once again found him with a triple win: in the men’s relay, one in the sprint and one in the mass start. 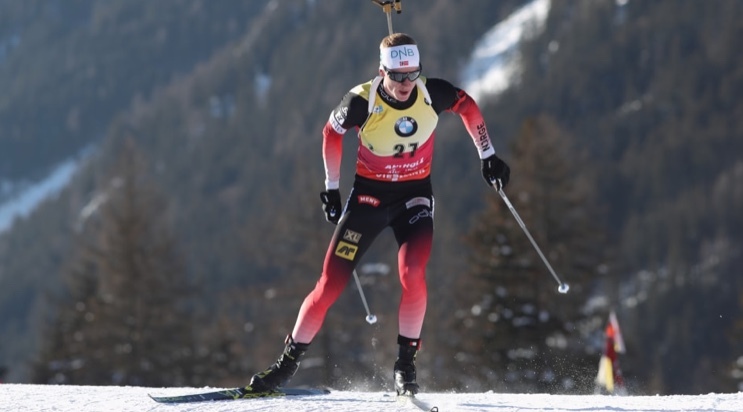 By the time he competed in Antholz, Italy–the final European destination before the North IBU’s American tour–Bø had accumulated two more wins and one second place. All told, the Norwegian has won 12 of the 16 IBU World Cup competitions he has entered this season and missed the podium twice. Following Bø on the the men’s IBU World Cup Top 3 this season is France’s Martin Fourcade in second place with 554 points. Fourcade was the overall leader last season, ahead of Bø who was second. This year, Fourcade is currently trailing Bø by 288 points. At the age of 30, Fourcade has accrued a grand total of 76 individual victories over the course of his career, while Bø, five years younger than Fourcade, has 33. Third in the 2018/2019 IBU World Cup overall standings is Russian Alexander Loginov with 548 points. Scoring 183 points and ranked 28th in the overall, Canada’s Christian Gow currently leads the North American men on the IBU World Cup. Gow opened his season with three Top 20 finishes in Pokljuka, placing 16th in the individual, 17th in the sprint and 14th in the pursuit. He had a career best finish in the Ruhpolding mass start, racing to 11th place. Altogether, Gow has finished in the Top 30 11 times this year. Behind Gow, American Sean Doherty is ranked 37th and Canadian Scott Gow, Christian Gow’s brother, is 47th. Leif Nordgren and Jake Brown of the U.S. are ranked 57th and 88th respectively, while Canada’s Jules Burnotte currently sits in 73rd. On the women’s side, Italy’s Dorothea Wierer is the woman to watch–or watch out for–thus far this season, currently ranked first in the overall standings with 632 points. The 28-year-old-Wierer earned three victories this season, winning the Hochfilzen sprint and relay then later the Antholz pursuit. Including those wins, Wierer has landed on the podium six times during the 2018/2019 IBU World Cup race year. Last season, Wierer finished fifth in the overall standings. The Italian women have proven themselves in good form this year with Italy’s Lisa Vittozzi taking up second in the standings behind Wierer with 598 points. At 23-years-of-age, Vittozzi earned the first wins of her career this season, claiming first in the Oberhof sprint and pursuit. Behind the Italians, Norway’s Marte Olsbu Røiseland is presently ranked third in the standings with 508 points. Team USA’s Clare Egan has had a banner IBU World Cup race season, ranked 22nd at present with 258 points. Egan’s World Cup success this season began in Pokljuka where she had a career best sixth place finish in the women’s pursuit. Following her sixth place, Egan has had 11 Top 30 performances this season, three of those coming from relays, the rest individual. Egan, who began competing in the sport six years ago, made a visibly large jump season, having finished last year’s overall standings ranked 63rd. Susan Dunklee is the next highest ranked North American woman in 31st (154 points). Over the course of her biathlon career, Dunklee has accumulated 5 IBU World Cup podiums and one silver World Championships medal, though her top performance this season was seventh in the Oberhof pursuit. Canada’s Rosanna Crawford is ranked 53rd, Sarah Beaudry 57th, Emma Lunder 58th, and Megan Bankes 73rd. A third American, Joanne Reid, is currently 55th.